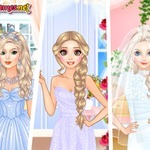 Elsa's Wedding Party at http://www.gogy2.xyz/ leads the player to the world of princesses with gorgeous dresses and make-up styles of each person. 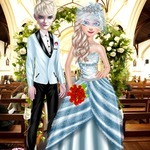 The wedding is about to take place and you will help the bridesmaids and the bride choose the most suitable dress with the special makeup style. 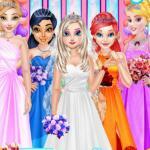 They will thank you very much for helping them create different styles and become more beautiful in the party. 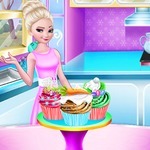 You can become a fashion designer with all the suggestions that the game offers. 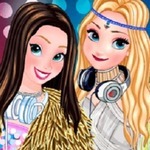 Choose the most suitable makeup style for each person or you can choose according to the suggestion of the game to complete the task faster. 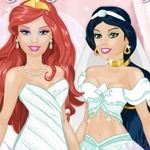 After that, don't forget the dresses and accessories that make the princesses more beautiful. 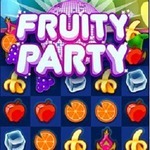 The harmonious combination of accessories and costumes will make them more beautiful. This is a special occasion where our girls need to make the most accurate decision. 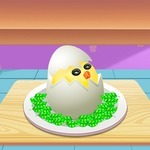 They will be happy and join the party without any difficulties. 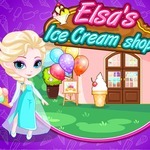 Gogy2 at school suggest for this girls game to let them enter Elsa's party more confidently. This is the moment they have been waiting for on Elsa's happy day. Your help has given them the opportunity to choose their own style. 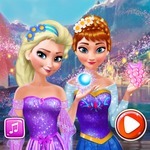 Players will select and participate in the game without being bothered by ads or game loading speed as well as when participating in other special games such as Princesses Lovers Clothes Design and Elsa's Love Choice. 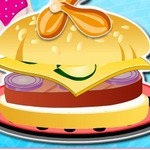 Girls will love to enjoy your game world and complete the best part or play this game over and over again. You will discover your world today.